We are pleased to announce that we recently won a 2016 National Telly Award for our marketing efforts for Travis Miller Attorney at Law. Our marketing campaign included two TV commercials, titled “The Hunter,” that were produced to air as a 15 second commercial and a 30 second commercial on local TV stations, including WBOY, WDTV and Comcast Cable to brand Travis Miller as a leading personal injury lawyer in the North Central West Virginia. The commercials can be viewed here. “We do a lot of healthcare videos and are acknowledged often for our healthcare work, so it was nice to produce a video that was outside the box and still appreciated,” said Anthony Sparks, IAM associate video producer. The Telly Awards was founded in 1979 and is the premier award honoring outstanding local, regional and cable TV commercials and programs, video and film productions, online commercials, video and films. Winners represent the best work of advertising agencies, production companies, television stations, cable operators and corporate video departments in the world. A judging panel of more than 500 industry professionals, each a past winner of a Silver Telly, their highest honor, and a member of The Silver Telly Council, judged the Telly Awards. The Silver Telly Council evaluated entries to recognize distinction in creative work. In addition to recognition from the Silver Telly Council, the Internet community helps decide the People’s Telly Awards winners by rating submitted videos. Entries do not compete against each other; rather entries are judged against a high standard of merit. Less than 10% of entries are chosen as winners of the Silver Telly. Approximately 25% of entries are chosen as winners of the Bronze Telly. 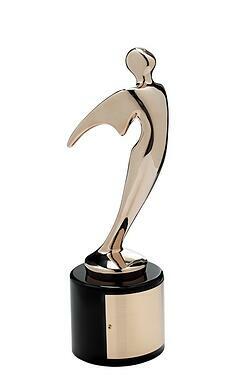 To learn more about the Telly awards, visit their site: http://www.tellyawards.com.